Remove the column from the system and use a short length of 0.010″ tubing to connect the injector directly to the detector. For solvent A, use HPLC grade water; for solvent B, add about 0.1% acetone to water (methanol or acetonitrile can be used instead of water). Set the detector wavelength to 265nm. Run a typical gradient from 0 to 100% B (e.g. 0-100% in 20 minutes at 3 mL/min flow). Record the detector signal during this gradient. Print out or display the "chromatogram" from the gradient run. It should look like Figure 1. Draw the best straight line fit to the flat portion at the beginning of the plot. Draw the best straight line fit to the linear ramp of the gradient. The time at which these two lines intersect is the dwell time (tD). 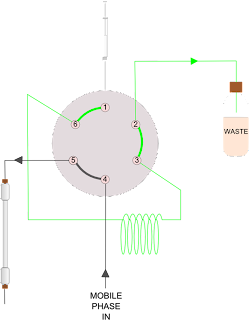 The dwell volume is the product of the dwell time and the flow rate used for the test. We are delighted to announce that the training video ‘A Brief Guide to HPLC Instruments’ has reached the shortlist of the Year of Education in Separation Science Tutorial Competition. The Year of Education in Separation Science is an initiative run in conjunction by separationsNOW.com (Wiley-Blackwell's separation science website) and Chromedia (an online community and database of tutorials and other educational content). The tutorial initiative is partnered by PITTCON 2011. The purpose of the competition was to facilitate and encourage the creation and sharing of educational material. The tutorials were judged on their content and how effective they are at communicating their message. The winner will be announced in the next few weeks. 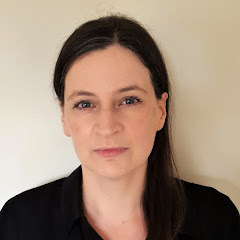 The following is an excerpt from 'An Introduction to HPLC for Pharmaceutical Analysis' by Oona McPolin, available to purchase through the MTS website. There are HPLC grade solvents available for the common solvents used and it is recommended that these are used for the best results. They are typically ≥ 99.9% pure. Within the HPLC grade there are different types available from some suppliers. These include ‘gradient grade’, and ‘LC-MS’. When running gradient elution and also when using a mass spectrometer as a detector the solvent used needs to be very pure to eliminate interferences which might affect the results. Acetonitrile is also available in a ‘far UV’ grade, this relates to the use of a UV detector in the far UV range, i.e. below 200nm. The difference in these grades relates to purity, very high purity solvents are usually obtained by multiple distillations. If a specialised grade is required for an analysis then this information should be included in the details of the HPLC analytical method. Water for HPLC may be sourced from solvent suppliers in HPLC grade bottles or some type of water purification system can be used. A water purification system for HPLC should generate ultra pure water (18 MΩ resistivity), it is extremely important that the system is well maintained. Different types of methods have different tolerances to the grade of the solvents used in the mobile phase. This should be assessed thoroughly during the method development process and any requirements included in the analytical method. 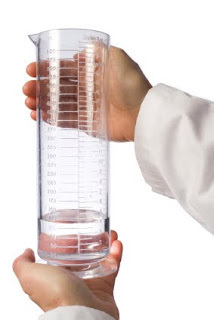 When measuring out the solvents to be used in a mobile phase each solvent is measured separately using a measuring cylinder of an appropriate size rather than measuring one and making up to volume with the other. The reason for this is that the volume of the mixture is smaller than the individual volumes due to a contraction effect. This is particularly applicable to methanol but is true for other water miscible solvents to some extent. The aqueous and the organic portions of the mobile phase may be measured separately and mixed in a container by the analyst (premixing) or each portion may be placed on the HPLC system and mixed in the correct proportions by the HPLC pump (online mixing). The aqueous and the organic portions of the mobile phase for both the starting conditions and for the final conditions of the gradient may be measured separately and mixed in a container by the analyst (premixing). This will result in two mobile phases, e.g. for the gradient 20 to 80 %B over 20 minutes, a mobile phase of 20 %B and a mobile phase of 80 %B are prepared by the analyst, these are then placed on the HPLC system and mixed during the analysis by the HPLC pump. The other option, as in the isocratic method, is to place the aqueous and organic portions on the HPLC system and mix in the correct proportions by the HPLC pump (online mixing). There are advantages and disadvantages to each approach. Premixing means that the pump does not have to perform mixing in the isocratic case and performs the least amount of mixing in the gradient case. If the pump being used is not capable of this type of mixing then the premixing option is preferred. Premixed mobile phases are subject to analyst error and different batches will be slightly different to each other. Online mixing removes the analyst error and is often more convenient to operate. Bottles received from the supplier containing solvent and premade reagent can be placed directly on the system preventing contamination associated with measurement. Plastic coated bottles are available for this purpose. However, if the pump is unable to deliver a well mixed mobile phase then online mixing is not suitable. The final decision depends on the pump capabilities, the analyst preference and the application. 1. S. Mabic, C.Regnault, J. Krol, LC•GC Eur., 18(7), 2005, ‘The Misunderstood Laboratory Solvent: Reagent Water for HPLC’. In a special end of year offer you can purchase each of the MTS training books, 'An Introduction to HPLC for Pharmaceutical Analysis' by Oona McPolin, and 'Validation of Analytical Methods for Pharmaceutical Analysis' by Oona McPolin, for only £20. Or you can buy both books for just £35. The offer runs until 31st December 2010. Usual shipping rates apply. Visit the MTS website now, click here, to take advantage of this huge saving. The best way to avoid and resolve problems when using HPLC is to have a sound understanding of how the technique works and the role of each component in the HPLC system. On the course How to Troubleshoot HPLC, sponsored by Phenomenex, we look at each component of a HPLC system in turn, explaining the role that it plays and how it works, and then identifying the causes of potential problems. This allows you to implement appropriate preventative measures and apply what you have learned to any brand of HPLC instrumentation. You will receive lots of helpful advice and tips on how to consistently achieve trouble free HPLC analyses. We will focus on the practical application of your new skills and knowledge so that you are fully equipped to effectively troubleshoot HPLC when you return to your lab. This is achieved by putting your newfound problem solving skills into practice using numerous real-life case studies. You are encouraged to bring along your HPLC problems for discussion during the training. The course costs £195 which includes the full day of training (including post training assessment), course literature, technical brochures, lunch & refreshments. To register click here. This article from Uwe Neue provides helpful advice for scaling methods between columns of different particle size and column dimensions, such as HPLC and UHPLC. This review presents a general overview of high-temperature liquid chromatography. It starts with a brief definition and then explains the necessary requirements for this emerging technique. Also, the advantages of high-temperature liquid chromatography such as the reduction in the mobile phase’s viscosity and the possibility to replace toxic organic solvents with water are outlined. “The retention time shifts that you are experiencing could be due to a number of different factors, the most common three being variation in temperature (are you controlling the column temperature? ), insufficient column equilibration (prior to any injections and between injections), and changes in mobile phase composition (how are you mixing the mobile phase? If it is premixed this is unlikely to be the source of the retention time variation). This article describes a calibration technique used by GSK which enables the estimation of yields in solutions and the assay of isolated solids, so that synthetic chemists can use open access instruments for these analyses. The response factors for a specially selected external standard and that of the analyte are used in the calculation. This will be a useful read for labs using open access instruments. This 6 minute film explains the various stages for a pharmaceutical company to develop new medical cures. It clearly shows what processes occur in conditions of sickness and how scientists use their knowledge to discover new, innovative drugs to help patients worldwide. Made by NORVELL JEFFERSON, a Belgian audiovisual production company. Buffers are most likely to cause problems on storage due to bacterial and fungal growth but all buffers do not behave in the same way. An example of a buffer in which growth occurs very soon after preparation is a phosphate buffer at pH 7. You should assess how long a buffer should be kept for your particular method. If the buffer is not mixed with organic solvent (for example when you use the HPLC system to mix the mobile phase for you) then it will probably not last as long. Assessing the buffer for a suitable expiry date consists of checking for visual growth (dispose of the buffer if you can see any), and checking the chromatographic performance. The easiest way to check chromatographic performance is to use the system suitability test for the method, this includes any standard checks. If the system suitability is well designed it should be able to confirm that a particular mobile phase is giving the expected results and is suitable for use. 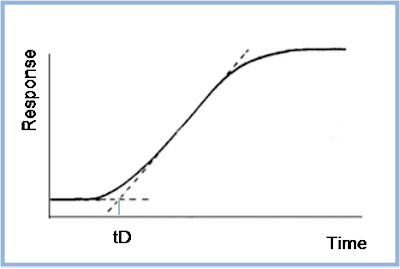 “The most common problem when using NP-HPLC is retention time variability. This is normally due to the presence of very polar molecules such as water in the mobile phase. A small amount of water can significantly alter retention times. Once your column has equilibrated with the water content in your mobile phase any alteration in this amount will cause shifts in retention time. Reaching full equilibration is very time consuming in normal phase systems and can take anything from a few hours to a few days. It sounds like your original injections had drifting retention times because the column had not reached equilibration. A strategy of running the mobile phase through the column overnight should help to achieve equilibration but since the RTs have not settled down either the column has not yet equilibrated or perhaps the mobile phase was altered. Is the mobile phase 100% hexane? 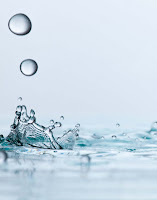 Controlling the water content of the mobile phase is desirable for reproducible results. Working with dry solvents is usually difficult and results in very long equilibration times. Using solvents which are fully saturated with water causes water to build up in the pores of the column. A common approach is to use ‘half-saturated’ solvents. Add 1 or 2 mL of water to 500mL of dry solvent and stir for 30 minutes, then remove excess water and combine with 500mL of dry solvent. Use this as your mobile phase and your equilibration should be quicker (although it may still take a few hours). If you can dedicate the column to your method then equilibration should be quicker when you use the column again in the future. A possible solution for shifting retention times and equilibration problems that I have heard works well (but have not personally tried) is to use a magnetic stirrer to stir the mobile phase gently throughout the run, making sure not to place it close to the detector since it may cause baseline ripples. When you attend a training course you hope to improve your knowledge and skills on the subject matter in question so that you can use your newfound competence to do your job better, and potentially enhance your career prospects. No matter how good training is, there are ways in which you can make the most out of the learning experience. The following tips are based on my experience of delivering and evaluating training. They should help you to retain what you learn on your training course and thus enable implementation of the learning in your day to day tasks. It is worth taking some time before you go on the course to think about exactly why you are going on the training and what you hope to get out of it. This means that you arrive at the training with clear expectations and can make sure that these are met. It also gets you thinking about the subject matter in terms of what you already know, providing a good starting point for improving your knowledge. Even if you have been ‘volunteered’ for the course you will still want to get the most out of the time you invest in attending so some preparation will pay off. How many times have you attended a presentation where the presenter says ‘Don’t worry, you don’t need to write anything down, there are handouts’? Research has shown that making some notes in your own words will help you to retain what you have learned. This doesn’t mean that you have to write down everything that you hear. Simply take down some quick notes about the main points of the presentation. The important thing is that it is in your words. This will help you to retain what has been said. Also, reading through these notes later will help you to remember the content. Throughout your training it is important that you have a clear understanding of the content, so don’t be afraid to ask questions. You are in a learning environment so you are not expected to have the answers. Most trainers will encourage questions since it gives an opportunity for interaction and allows them to gauge how well their training is working. Most training events will include some type of session where you get a chance to do something other than just listen to the trainer. This may be in form of exercises, discussions, case studies, workshops, group exercises etc. These sessions allow you to apply what you have learned so try to throw yourself into them to get the most out of the experience. If you find the session is a bit uncomfortable (role-play springs to mind) then try to focus on what you want to get from the training. At the end of the training you will probably summarise what you have learned with the trainer and may have an assessment to measure the learning. This review of the main points of the training is very useful for helping you to retain your new knowledge and skills. You should also use this review to visualise how you will apply your learning when back in work. If you can plan how you are going to use the training then it is more likely to happen. When you get back to work look through all the notes associated with the course and remember the material that was covered. Then try to apply the learning. This will reinforce the learning so that you are less likely to forget. A good discussion of the practical implications of applying Quality by Design to chromatographic methods. In this article a case study of amines is used to consider the important experimental parameters when developing a GC headspace method. "How many injections should I expect to get out of my reversed phase C18 HPLC columns?" “Put simply, it depends. This is probably not the definitive answer you were hoping for but there are a number of different factors which influence the total number of injections that you can expect for a HPLC column. These relate to the actual column in question, the way you are using the column (the method operating conditions), and also the nature of the sample which is being injected. Factors relating to the column include the type of packing, e.g. silica, zirconia, etc., and how the stationary phase, in this case C18, is bonded to the packing. Factors relating to the operating conditions include the pH, temperature, and mobile phase components such as solvents and buffers. Factors relating to the sample include the cleanliness of the sample, the volume, pH, impurities present and the nature of the actual sample molecules. ‘Clean’ samples are usually straightforward preparations such as standards, simple drug formulations and mixtures, whereas ‘dirty’ samples include biological fluids and environmental samples. You can maximise the number of injections for a column by using it within its recommended operating conditions, e.g. pH and flow rate, and by flushing the column routinely to remove strongly retained impurities. Use of a guard column should also help to prolong column life. As a rough guide you can expect to achieve at least 1000 injections if the column is used within its recommended range of operating conditions and the sample being injected is ‘clean’. You may even be able to perform 5000 injections for some methods. If using ‘dirty’ samples then you should expect to achieve less than 1000 injections but the actual number can vary considerably and may even be as low as 50 injections. 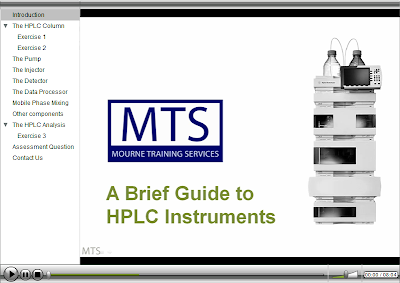 Mourne Training Services is pleased to announce that our e-Learning HPLC training course is now available in a distance learning option: iLearn. This course introduces the important concepts of HPLC and will enable you to fully understand: the different types of HPLC and how they differ; the different types of available HPLC columns and how they differ; why there are so many different mobile phase components and the ways in which they are combined to effect a chromatographic separation; and how components such as the pump, injector, detector and processor are combined to make a HPLC instrument. An assessment which enables accreditation of the training - It is recognised by the Royal Society of Chemistry for the purposes of continuing professional development. The cost of this course is only GBP £125 + VAT and includes a copy of our training book, An Introduction to HPLC for Pharmaceutical Analysis (which normally costs GBP £29.27). This is great value for a course which equates to a full day of training. All you need is access to the internet. The training is undertaken over a period of 1 week. You sign up and select a week which suits you. Each day training videos and exercises are uploaded to your virtual classroom which you can watch and submit answers for the exercises. This allows you to access the training materials at a time which suits you within the 24 hour period (you should allow about 90 minutes since there are 2 videos, each of length approximately 25 minutes and the exercises should take about 40 minutes). 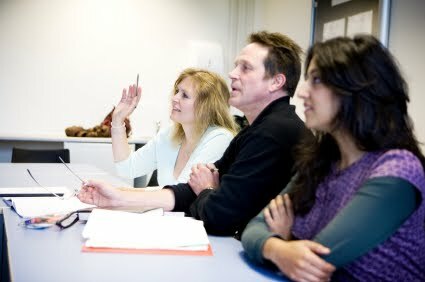 At the end of each session feedback from your personal tutor and full solutions for the exercises is sent to you by email. The assessment is completed on the last day and a certificate is sent out for your training records. Contact us if you would like to sign up for this training course or if you would like more information. Full details will be posted on the MTS website soon. As promised, the MTS HPLC calculator can now work out how much mobile phase you need to prepare for gradient methods. 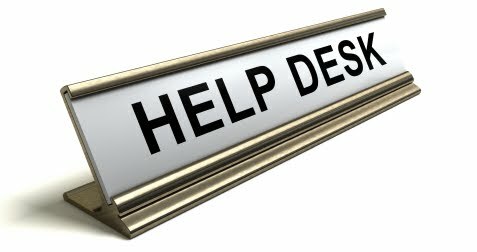 Simply fill in the gradient table making sure to match up A, B, C & D to the solvent lines on your HPLC instrument and include any solvent holds and re-equilibration steps at the end/beginning of each injection. This article details an interesting approach to reducing the number of factors investigated during a robustness study. Basically the factors which are chosen to be studied in an experimental design are further reduced by performing a risk analysis of each factor and combining factors where possible. As we hear more and more about addressing method robustness earlier in the method development process as part of Quality by Design, more efficient approaches to performing these studies become desirable. The thing that stands out for me about this article, and indeed all discussions of robustness, is that although the statistics and design of experiments is very important (and I think this article describes these quite well) the most important contribution to robustness testing comes from the experience of the analyst who understands the actual effects of the factors involved and can identify those which are most important. The risk assessment performed in the case study described in this article was performed by ‘GC experts’. Without this contribution the studies cannot produce meaningful results. (%RSD) is used extensively as a measure of variability. It is important to understand how to use, and how not to use, this useful statistic. This article from Lynn Torbeck provides a good guide to proper use. 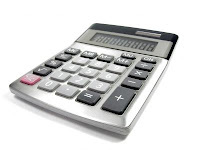 The HPLC calculator from MTS has been updated to include working out how much buffer salt to weigh out when preparing mobile phase. Use caution when using weigh containers made of plastic since plastic is more prone to holding a electrostatic charge. If the samples being weighed hold static electricity an aftermarket static ionizer maybe needed for ionization for static removal. Static charges tend to develop when different materials rub against one another. Some materials can pick up excess electrons, resulting in negative static charges while other materials give up electrons, resulting in a positive charge. If the charged material is non-conducting (as are films, glass lenses and plastics), then the static charge remains. Allow sufficient space around the balance for ease of operation and keep away from radiating heat sources. Modern analytical balances typically include internal calibration features but regularly checking the accuracy against external calibrated masses is good practice. The calibration weights which you should verify will depend on the operating range of the balance so choose weights which bracket the range of weights which you will use the balance to measure and perhaps one or two spaced out throughout the range." “A full discussion of the general problems which can occur when operating HPLC, GC and spectroscopy for applications in the pharmaceutical industry could run to several books! In my experience the greatest problems are usually due to a lack of experience, knowledge and skills on the part of the operator (that’s probably the answer you would expect from a trainer!). Modern analytical instruments have developed to such an extent that they can be fairly simple to use, with sophisticated software that lulls you into a false sense of security about your own abilities. It pays to remember what is actually happening during analysis and a good background in the theory of the technique will enable effective troubleshooting. If you consider HPLC, setting up a run and then processing it can be quite a straightforward task. But, if the results are not as expected then a solid understanding of the method will help to assess the available information and diagnose the problem. This knowledge extends to an understanding of how the instrumentation works, an example being the selection and use of a suitable wash solvent to prevent carryover of your analyte from one injection to another. Most often, problems will occur when developing methods for new compounds, since that is when knowledge and skills are tested most. The answer to building suitable skills and knowledge is primarily through effective training (which Mourne Training Services is always happy to provide) but developing experience after the training is equally important. Making sure that learning is fully implemented and kept up to date is a significant challenge for both individuals and managers in the pharma industry. 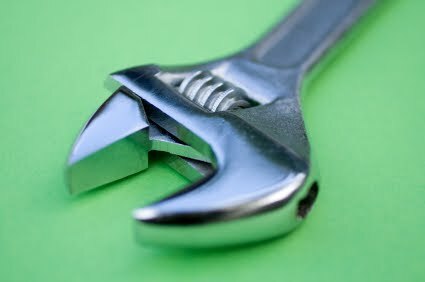 Troubleshooting problems actually helps to develop expertise. The MTS website has been updated! You can now access more information about our new online training package for in-house use: UTrain. This includes a request form for a free trial of the package to allow you to try it out. We have also updated the free training resources page including a Useful Links section. Please send us your suggestions for links.